Facebook is a popular social media. Most of the website provide login with facebook feature, why because each and every user over internet have facebook account. So login with facebook feature avoid filling a new signup form on a new website. Login with facebook is simple and secure as the api is given by facebook only. 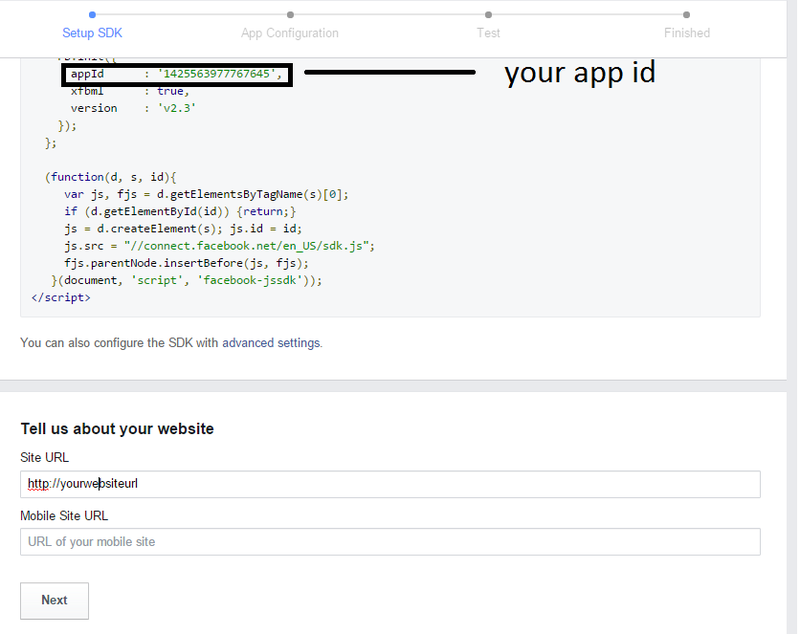 Go to https://developers.facebook.com/ , in My Apps click on Create New App, then select Website from below screen. 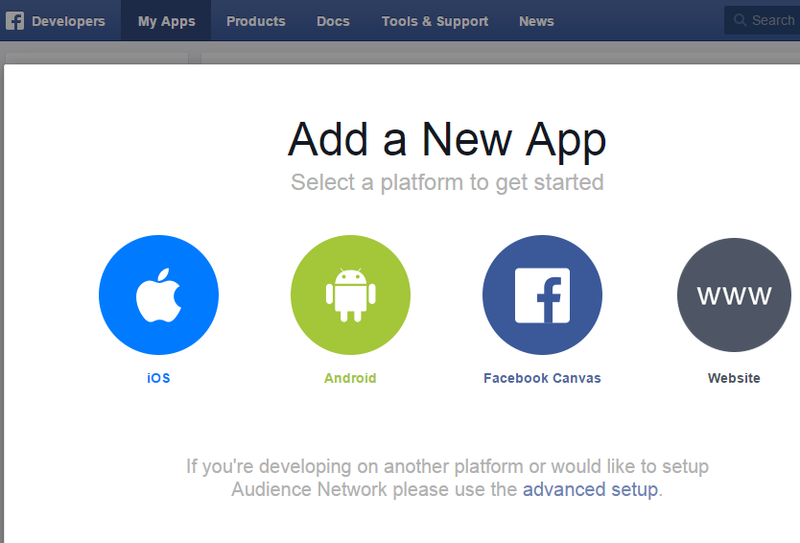 Now type App name and click on "Create New Facebook App ID"
You can see App id in below screen. Also you must enter your website url in order to allow user to login to your website. //Do your action here, call a java script or a web method/service to do more.